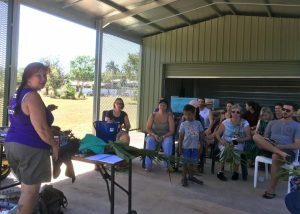 On Sunday 6th May, Lia Gill shared her long lasting love of growing food in Darwin. It doesn’t need to cost a lot and you can have success with just a few tricks in planting and saving seed. Thanks to all who helped make it a fruitful morning.